The Mountain View Voice newspaper ran a fantastic photo feature of the Festival on Friday, Aug. 23. Here’s the link to it: http://mv-voice.com/news/2013/08/21/a-whirlwind-week-of-dance It truly was a “whirlwind week of dance,” and the Festival Concert today at 3 p.m. will top it off in great style. We had previews of the Polish Folk Dance and the Tap Dance that will appear in today’s concert because Christina Smolen and Audreyanne Delgago-Covarrubias both drew on the dances they will perform for material in their classes. Absolutely thrilling! 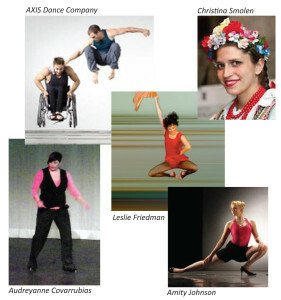 This entry was posted in INTERNATIONAL DANCE FESTIVAL-SILICON VALLEY and tagged Amity Johnson, Audreyanne Delgado-Covarrubias, AXIS Dance Company, Christina Smolen, International Dance Festival-Silicon Valley, Leslie Friedman, Mountain View Voice, Polish Folk Dance, Tap Dance on August 25, 2013 by Leslie. A wonderful day! The Festival Dancers worked so well at learning the two dances they will perform and also beginning to explore Pioneer Park, the site for their site specific works. Some questions have come up because the article in the Mountain View Voice printed that the Festival Concert would be in the park. Nope, it’s in the Masonic Center. Just that one adventurous piece, the Festival Dancers own works, will be in the park which is adjacent to the Masonic Center. Today, Michelle Le and Miranda Chatfield from the Mtn. View Voice came to photograph the dancers. Very exciting! This entry was posted in INTERNATIONAL DANCE FESTIVAL-SILICON VALLEY and tagged Festival Dancers, International Dance Festival-Silicon Valley, Leslie Friedman, Michelle Le, Miranda Chatfield, Mountain View Voice, Pioneer Park on August 20, 2013 by Leslie. After spending 51 weeks thinking about it, planning for it, making phone calls, sending emails, staying awake wondering what to do next, the second season of the International Dance Festival-Silicon Valley begins tomorrow morning. I can’t believe it. I’ve spent so much time trying to get the word out about the Festival, now I wonder what it will be like to be in the first class at 10:30 tomorrow morning. 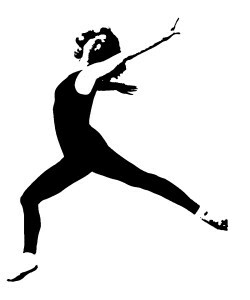 I see ahead to the Festival Concert and realize that we have just Monday-Friday to teach two dances to the Festival Dancers AND to have them ready to perform. Take a deep breath. Here we go. This entry was posted in INTERNATIONAL DANCE FESTIVAL-SILICON VALLEY and tagged Amity Johnson, Audreyanne Delgado-Covarrubias, AXIS Dance Company, Christina Smolen, Festival Concert, Leslie Friedman, Mountain View Masonic Center, Polish Folk Dance, Summer Dance Festival, Tap Dance on August 18, 2013 by Leslie. That wonderful newspaper, the Mountain View Voice, has run a terrific advance feature article about the International Dance Festival-Silicon Valley. Thanks to the editor, Andrea Gemmet and to the writer, Miranda Chatfield for recognizing the Festival’s significance for the whole community. Here’s the link: http://mv-voice.com/news/2013/08/15/dance-festival-returns-to-mountain-view. This entry was posted in INTERNATIONAL DANCE FESTIVAL-SILICON VALLEY on August 17, 2013 by Leslie. Take a break Tuesday evening, August 20. Come to Dance Movie Night. Show time is 8 p.m. at the Mountain View Masonic Center, 890 Church St., Mountain View. Film ends around 9:30. Featured film will be a great dance classic. Admission: $5 per person. The International Dance Festival-Silicon Valley offers opportunities to dancers and non-dancers to experience the best in dance. This entry was posted in INTERNATIONAL DANCE FESTIVAL-SILICON VALLEY on August 14, 2013 by Leslie. This entry was posted in INTERNATIONAL DANCE FESTIVAL-SILICON VALLEY on August 9, 2013 by Leslie.